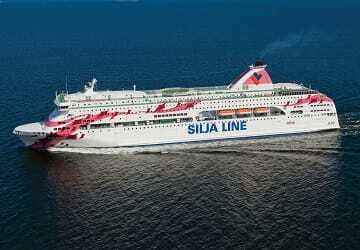 For more information, please visit our Ferries from Aland to Finland page. 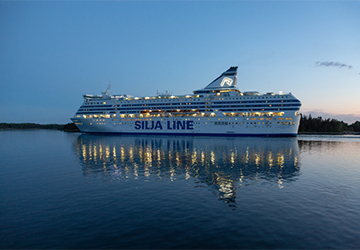 The Mariehamn Helsinki ferry route connects Aland with Finland and is currently operated by 2 ferry companies. 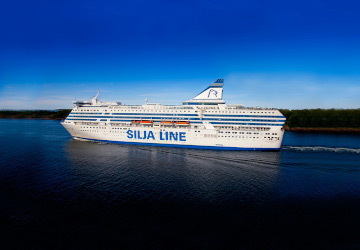 The Tallink Silja service runs up to 7 times per week with a sailing duration of around 10 hours 5 minutes while the Viking Line service runs up to 7 times per week with a duration from 10 hr 20 min. 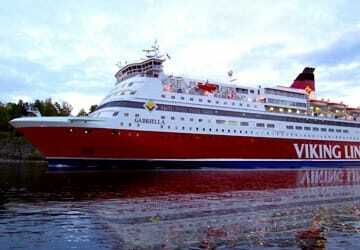 So that’s a combined 14 sailings on offer per week on the Mariehamn Helsinki route between Aland and Finland. Compare now and get the best fare at the time that you want to travel. Prices shown represent the average one way price paid by our customers. 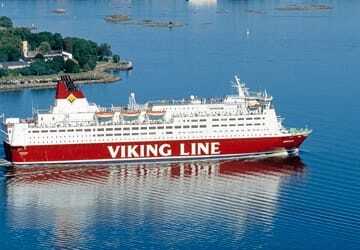 The most common booking on the Mariehamn Helsinki route is a car and 2 passengers. Mariehamn is the capital of Aland which is an autonomous territory under Finish sovereignty. In common with the rest of Aland, Mariehamn is unilingually Swedish speaking with around 80% of its residents speaking it as their native language. Visitors to the town will find most of the shops and restaurants in the town located in the Torggatan pedestrian precinct in the centre of the town. The seat of power, the Sjalvstyrelsegarden, is also in the square and is made up of Aland's parliament and provincial government, the town hall and the government building. There is a statue of Tsarinna Marie Aleksandrovna, who gave her name to the town in 1861, located on the slope leading to the town. In the town there are a number of buildings designed by Finnish architect Lars Sonck, who moved to Aland as a child. Buildings of his include the church of Mariehamn, the main building of the Aland maritime College and the town hall, all built in the first half of the 20th century. Hilda Hongell also designed several buildings, although only a few remain standing. Mariehamn is located on a peninsular and has two main harbours, one on the eastern shore and one on the western shore. Both harbours remain ice-free for nearly the whole year and both are non-tidal. The Western Harbour is an international harbour that has daily services to Sweden, Estonia and mainland Finland. The Eastern Harbour features one of the largest marinas in Scandinavia. Helsinki is the capital of Finland and is located in the south of the country and lies on the shore of the Gulf of Finland. The city is quite small and therefore is just begging to be explored on foot where visitors will be impressed by the city's architecture, culture and shopping and will love exploring the city's parks, forests and coastline with its many islands. A popular attraction in the city is the National Museum of Finland which contains a large collection dating back to prehistoric times through to the present day. The museum is housed is a neomedieval castle which is a popular attraction in its own right. For visitors that enjoy history, other museums in the city include the Helsinki City Museum, which introduces visitors to the city's 500 year history, the University of Helsinki, which has a number of museums which includes the University Museum and the Natural History Museum. 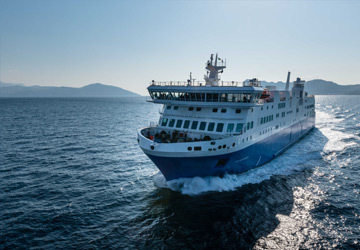 There are daily ferry services to Helsinki from Estonia, Sweden and Germany. All the ferry companies offer also possibility to take a car with you. Helsinki can be reached by ferry also from Russia as well as Poland.